Among several recent developments bringing Army cyber and electromagnetic activities closer together, the service updated and renamed one of its regulations related to supporting the integrated multi-mission nature of cyber electromagnetic activities through software-based systems. Army Regulation 525-15, titled “Software Reprogramming for Cyber Electromagnetic Activities,” provides a raft of changes such as expanding the scope of software reprogramming to support CEMA, adds responsibilities for headquarter commands and direct reporting units to support electronic warfare reprogramming mission requirements, and establishes CEMA software reprogramming integrations and interoperability implementation strategy, the Army said. You may wonder why again? Last week, it was about the announcement of the verdict of the Permanent Court of Arbitration (PCA). The International Tribunal in The Hague had given its ruling on a reference by the Philippines over the South China Sea (SCS): China has no historic ‘rights’ to the natural resources in most of the areas of the SCS, further these rights must not exceed what’s permitted by the UN Convention on the Law of the Sea (UNCLOS). It is a known fact that education has a great potential for bringing peace in conflict zones. Education can play a constructive role in development of peace building perspective and thereby promoting socioeconomic development and preventing the recurrence of violence. But unfortunately in the recent violence in Kashmir, when all the educational institutions are closed down, there is hardly any concrete plan or action undertaken to bring education back to track or strengthen stakeholder coordination or initiate, promote and implement educational initiatives in support of peacebuilding. On the contrary newspapers carried angry reaction of the disturbed Director (School Education) Mr. Shah Faisal, who threatened to resign from his post. It is heart touching and seen by many as an emotional outburst of a vibrant Youth Icon, (first to qualify Indian Administrative Services) from the Valley. Being an academician I feel very sorry and deeply touched by the pain of this officer. I feel very regretful that we have failed miserably to motivate the brilliant brains. These young brains have potential to do wonders in their work area and thereby promote peace in conflict zones. Not going into who is responsible for this agony of Mr. Shah Faisal, I feel it is high time we all act responsibly and not hurt sentiments of people to the extent, that they lose their inner peace, as it is simply inhuman. Instead of including all levels of society in peace building and preparing a strategy for post conflict, it is regretting that the Director of Education is compelled to think about resigning from the post. How must India respond to Geopolitical Challenges? The people of Kashmir Valley refuse to accept responsibility for their plight but blame the Central Government for their woes. They will not accept that Valley Muslims dominate and rule the State, hold maximum number of government jobs, are responsible for widespread corruption, terrorism drives away tourists and employment generating industry, contribute negligible revenue to State by way of taxes, be sensitive to the needs of people of Ladakh and Jammu regions. An apology for killing of Pandits and driving them out of their ancestral homes is out of question! In Pakistani eyes India cannot be seen as succeeding because it would mean question the reason for Pakistan’s birth as a nation. This means as long as Pakistan exists, India has to be opposed. Kashmir on the boil again. According to a July 8 report, “The Jammu and Kashmir police have initiated the process of withdrawing cases against 634 stone-throwers, out of the several thousand who have been charged with the crime during the past eight years, following the state’s government amnesty order. The state government had earlier this week approved amnesty to 634 persons facing charges of stone-throwing following the Home Department’s approval to withdraw 104 cases dating from 2008 to 2009.” Look what happened thereafter! Every time there is violence in the Valley commonly heard phrases are – situation returning to the 1990′s, youth unemployed, human right violations by security forces, dialogue is the only way to resolve the Kashmir dispute, separatists leaders reiterate their importance, outpour of sympathy for the innocent injured or dead. This is followed by high level meetings held in Delhi/Srinagar. With time the situation appears peaceful on the surface, so tourists visit the Valley, only to erupt again. The sequence is familiar. Kashmir has become a pawn in the chessboard involving China, India and Pakistan. When the Pakistani Northern Light Infantry, officered by the regular Pak Army, reeling under incessant day and night attacks, both from air and surface, fled in complete disarray from the occupied heights during the Kargil war, they left behind the bodies of their comrades-in-arms, an act considered most shameful in the annals of warfare. The bodies were later buried with full military honours, in an exceptional demonstration of humanitarianism, by the Indian Army, because the perpetrators of this failed campaign refused to even acknowledge them. It would have been appropriate if the restless spirits of these abandoned souls had risen fom their graves to trouble the collective conscience of the Pakistani Army. 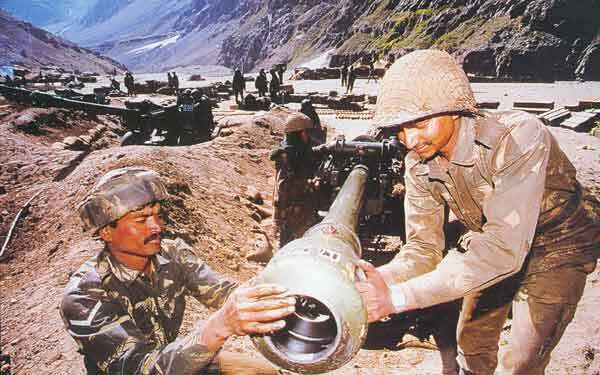 In an ironic twist of events, it is the Indian military, which came out victorious from this short but bloody conflict, that is being haunted by the ghosts of Kargil. And going by the space accorded to this issue in all forms of media, it is unlikely that these ghosts will be laid to rest anytime soon. The Attack Helicopter is a potent and effective weapon, but not for the terrain and altitudes that obtained at Batalik and Kargil heights. Two articles on Kargil, written by senior army officers, were published in the Apr–Jun 2010 issue of this magazine. The article byLt Gen Harwant Singh, while responding to Air Mshl Bedi’swritings, atempts to look at IAF’s performance over the years and focusses on the Kargil operations at some length. He points out a few factual errors in Air Mshl Bedi’s article and pays backhanded compliments to the IAF, though his displeasure in general about the Air Force permeates the article.His comments about the 1947–48 war need correction. The Dakotas flew a total of 28 sorties on the 27th October, 1947, ferrying 400 troops into Srinagar and that saved the day for India. One aircarft force-landing at Jammu made no impact on the overall operations. Boeing, Lockheed Martin and SAAB-AB have been looking for Indian partners to manufacture their respective aircraft in this country. This means that Prime Minister Narendra Modi’s “Make in India” initiative is well on track, having crossed the phase of initial diplomatic and bureaucratic glitches. These business propositions follow the government’s decision to relax FDI norms in the defence sector— allowing up to 100 percent investment by foreigners in some cases— and a meeting between Commerce & Industry Minister Nirmala Sitharaman and Lockheed Martin Corp Chairperson, Marillyn A. Hewson. In the meantime, Tata Advanced Systems Limited has signed an agreement with Bell Helicopter. The Indian business group’s Tata Boeing Aerospace Limited (TBAL) has a deal with Boeing AH-64 to co-produce fuselages of multi-role combat helicopters, Apache. Boeing is also training our fighter pilots at its C-17 Globemaster III simulating centre. And Larsen & Toubro has successfullyindigenised Samsung’s mobile howitzer, naming it K9 Vajra. This list is not exhaustive. Amid all these deals, India and Japan not been able to iron differences over the procurement of 12 US-2i ShinMaywa amphibious search-and-rescue aircraft for the Indian Navy, is a rare eyesore. Economists in India: Endangered species? The pipeline for well-qualified and experienced policy economists at senior levels of government has broken, leading to a growing dearth of suitable candidates for top economist positions, says Shankar Acharya. India has lots of good economists. And quite a few good ones in government too. Right? Wrong! On both counts. First, consider academic economists. 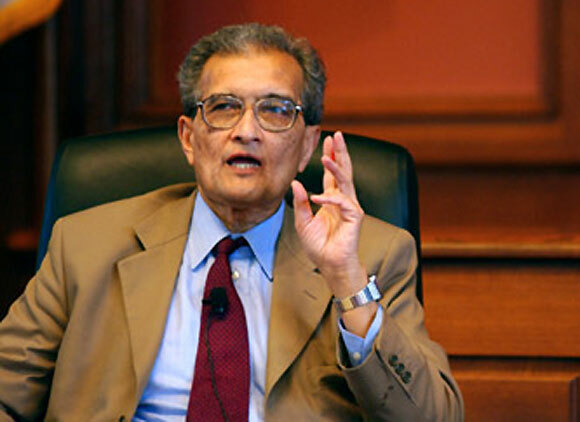 Remember the mid-1960s when the Delhi School of Economics alone boasted a galaxy of stars, including Amartya Sen, Jagdish Bhagwati and Sukhamoy Chakravarty? Well, that was then. The 1970s witnessed an exodus of India’s best academic economists to greener pastures in the US and UK. The list is long and includes Amartya Sen, Jagdish Bhagwati, T N Srinivasan and Pranab Bardhan, to name a few. In the words of the last exemplar, they became “winter Indians”, living and working in universities in the West and visiting their homeland in the salubrious winter months. In time, their acolytes and students followed suit. By the 1980s the pattern had become common: many of the best students of Indian MA economics programmes would typically go to universities abroad for their doctorates, mostly to the better American universities. Few would return to India, except for short stints. While nuclear engineers cheer the KNPP's first full operation, on nine other sites which house atomic reactors, scientists spend sleepless nights, reveals Pallava Bagla. At India's highly-guarded and walled atomic establishment, there are cheers in southern India, but tears in the western part of the country. Much to cheer about at Kudankulam, as India's largest nuclear power park situated not far from the tip of India, Kanyakumari, is now operational. The twin 1,000-megawatt atomic reactors have nuclear fission reaction running in them for the first time. The first unit started supplying electricity in 2013 and the second unit became operational last week and will start feeding electricity to the grid in a few weeks. 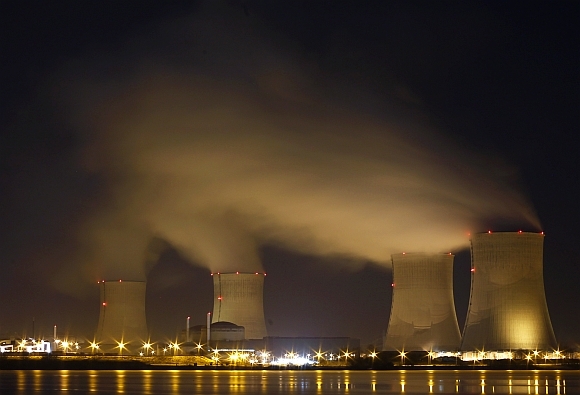 At the same time, some 2,000 km away, some grief and tears since the indigenously made Kakrapar Atomic Power Station in Gujarat remains shut for nearly four months after a leak in the nuclear island of the reactor forced an emergency shutdown of a fully operational plant. The bigger headache for the Indian nuclear engineers is that even after several months of investigation, the exact reason why the 'leak' took place remains a mystery. That Pakistan’s international isolation on terrorism is near complete is clearly visible. Statements emanating from Islamabad, first from ISPR chief Asim Bajwa and then from Advisor on foreign affairs to the PM, Sartaj Aziz, suggest that Pakistan is getting desperate, like a drowning swimmer, not to drown in its own sorrows. Gen Bajwa, normally not usually known for his emotional outbursts, claimed recently that the world had left Pakistan alone in its fight against terrorism. Sartaj Aziz on the other hand, spoke of not targeting the jihadis in Pakistan because it would lead to a blowback. So much for emotional outbursts! The fact of the matter is that Pakistan is living presently in the past and the past has a bad habit of catching up. After all, with the jihadi culture in Pakistan being more a matter of State news, it is but natural that the likes of Hafeez Saeed continue to rant against India and threatening the Pak Government with dire consequences if they did something against him. The JuD leader is certainly a brave cleric for he moves around Pakistan with state protection. Therefore, it is strange that Sartaj Aziz should tell the world that moving against terrorists ‘fast’ would lead to a blowback. Obviously, this would be the case for a nation steeped in skulduggery and black operations. The skeletons are coming tumbling out of the closet as Pakistan seeks to balance its governance structures. The problem is that it has allowed the radical Islamic elements to take over virtually every aspect of governance, particularly education. Thank god for the military, which remains wedded to the concept of using the jihadis for making them stronger against India. Otherwise it would be possible to visualise a wholly bearded Army where radicalism would be the norm. That was perhaps what Gen. Zia had in mind in the early days of his tenure. That said, one must question the rationale of ISPR chief Bajwa making a political statement at a time when the Prime Minister of Pakistan is recuperating from a heart surgery in London. While the threats of a military takeover may overtly appear serious, a direct coup in the current milieu is not likely to take place. The objectives behind running such campaign are meant to achieve other ends that doesn’t require overthrow of the civilian government; rather, a direct coup might have serious implications for the military as well. The “so called nine-dash line,” previously “the eleven-dash line” and also referred to as the “ten-dash line,” the “U-shaped line,” the “cow’s tongue” and the “ox’s tongue”: however one chooses to refer to China’s claims of some 80 to 90 percent of the South China Sea, the demarcation no longer holds water, following last week’s ruling issued by the arbitral tribunal at the Permanent Court of Arbitration in The Hague. The tribunal ruled China’s expansive claim under the nine-dash line had no legal basis, and that any claims must be made on the basis of maritime entitlements from land features. With the definitive ruling from The Hague, can we now finally lay these ill-defined terms to rest? The case before the tribunal was brought by Manila in January 2013, following the seizure and occupation of the Scarborough Shoal by Chinese forces in 2012—reneging on an agreement brokered by Washington that both sides would pull back. Despite its treaty obligations to defend the Philippines, the United States did not come to the rescue, perhaps in retaliation for having had its military forces summarily dismissed from their bases at Clark and Subic. The Hague’s ruling was widely expected to find in favor of Manila, despite a last-minute lobbying effort by Beijing to curry favor with a number of countries. The findings of the court were unexpectedly numerous, with rulings that the maritime features occupied by China were rocks, low-tide elevations, or submerged banks and thus were not entitled to the surrounding waters. The court also declared there was “no legal basis for China to claim historic rights to resources,” as China had never exercised exclusive authority over the waters. The tribunal also accused Beijing of interference with fishing and oil exploration, “severe harm to the coral reef environment” and of its failure to prevent Chinese fishermen from harvesting endangered sea turtles and other species “on a substantial scale.” Finally, the court also declared China’s nine-dash line did not comport with the United Nations Convention on the Law of the Sea, which Beijing ratified in 1996. The Philippines did not simply bring China to court. Even before filing the case, the government had already wisely chosen to settle the dispute with the Permanent Court of Arbitration (PCA) rather than with the other international courts listed by the United Nations Convention on the Law of the Sea (UNCLOS). Unlike in those other courts, states influence the ad hoc selection of the judges in the PCA: disputants each choose one tribunal member and agree on the remaining three from a closed list of potential members, for a total of five tribunal members. The Philippines naturally appointed a judge who espoused an aligned jurisprudence. Meanwhile, China refused to participate in the entire process, thereby also relinquishing its privilege to appoint a judge. The President of the International Tribunal for the Law of the Sea (ITLOS) appointed the other four tribunal members instead, as per UNCLOS. As it awaited the decision, the government also enlisted the help of the international community to make China abide by the eventual ruling. Since the submission of the case to the arbitral tribunal in 2013, Philippine diplomats had been engaging their counterparts in their countries of assignment to support the country’s position. By asking support, the Philippines created an international pro-compliance constituency that China cannot ignore now that the tribunal had released its decision. The strategy had been historically tested: rallying the international community can tame intransigent states. In Nicaragua v. United States, Nicaragua successfully lobbied the UN General Assembly to adopt a resolution that the United States comply with the ruling of the International Court of Justice. Similarly, in Netherlands v. Russia, Greenpeace, in whose behalf the Netherlands filed a case at ITLOS, generated enough international attention on the case, which pressured Russia to eventually release the detainees. Cecilia Ma Zecha: Hello, and welcome to this edition of theMcKinsey Podcast. I’m Cecilia Ma Zecha, an editor with McKinsey Publishing, based in Singapore. Today we’re going to be talking about one of the biggest stories in Asian business, China’s One Belt, One Road initiative, arguably its most ambitious economic and diplomatic program since the founding of the People’s Republic. Kevin Sneader: At one level, One Belt, One Road has the potential to be perhaps the world’s largest platform for regional collaboration. What does that actually mean? There are two parts to this, the belt and the road, and it’s a little confusing. The belt is the physical road, which takes one from here all the way through Europe to somewhere up north in Scandinavia. That is the physical road. What they call the road is actually the maritime Silk Road, in other words, shipping lanes, essentially from here to Venice. Therefore it’s very ambitious—potentially ambitious—covering about 65 percent of the world’s population, about one-third of the world’s GDP, and about a quarter of all the goods and services the world moves. While the South China Sea has been a source of territorial dispute for many years, involving all of its bounding nations, China has been particularly aggressive of late, building artificial islands, installing military facilities, drilling for oil and gas, andchasing off the boats of its Southeast Asian neighbors from waters UNCLOS says they can operate in. With the Philippines, it has been especially belligerent over the Scarborough Shoal, a fishing ground roughly 125 nautical miles from Luzon and 1,435 nautical miles from China. China's claims also reach well within the 200-nautical-mile limit of several other nations' EEZ. In the case of Malaysia and Brunei, the nine-dash line even reaches operating oil and gas fields, suggesting that China might one day think about seizing them for its own use. Marking the 95th anniversary of the founding of the Chinese Communist Party (CCP), state-run CCTV News ran a three-part series, “Understanding the [Chinese Communist Party]”, stating that “to understand China, one has to understand the [CCP].” Making sense of the CCP, however, is not just about leaders, policy, and bureaucracy but about power and its use. Since President Xi Jinping announced the creation of the Central State Security Commission (CSSC, 中央国家安全委员会) in November 2013, foreign observers have tried to track its creation, membership, and operations in search of a Chinese equivalent to the U.S. National Security Council staff. This search has led most researchers toward Chinese discussions of international crisis management and away from the issue of power and thesocial governance framework within which the Chinese government placed the CSSC. The CSSC can only be understood through the lens of power and the efforts of the party-state to wield that power to meet a growing set of “state security” (国家安全) challenges that, in the words of President Xi at the first publicly-documented CSSC meeting, “are more complex than at any time in history.” The CCP’s driving objective is to remain in power, but as obstacles to ensuring this objective inevitably become more complex so does the need to self-regulate. The CCP is constantly engaged in a process of ensuring its own legitimacy, which, having never truly outgrown its revolutionary past, the CCP perhaps fears it never fully possessed. While ensuring legitimacy includes objectives like maintaining economic growth and preserving stability, it also includes wielding the party’s power to administer the country effectively and prevent the emergence of a Chinese future without the CCP at the helm. The need for effective governance explains the objective of efforts such as the anticorruption and party loyalty campaigns, especially in places like the military, propaganda, and security services that would seem self-evidently loyal. 'China must be made to feel the consequences through any and all means,' says Rajeev Srinivasan. 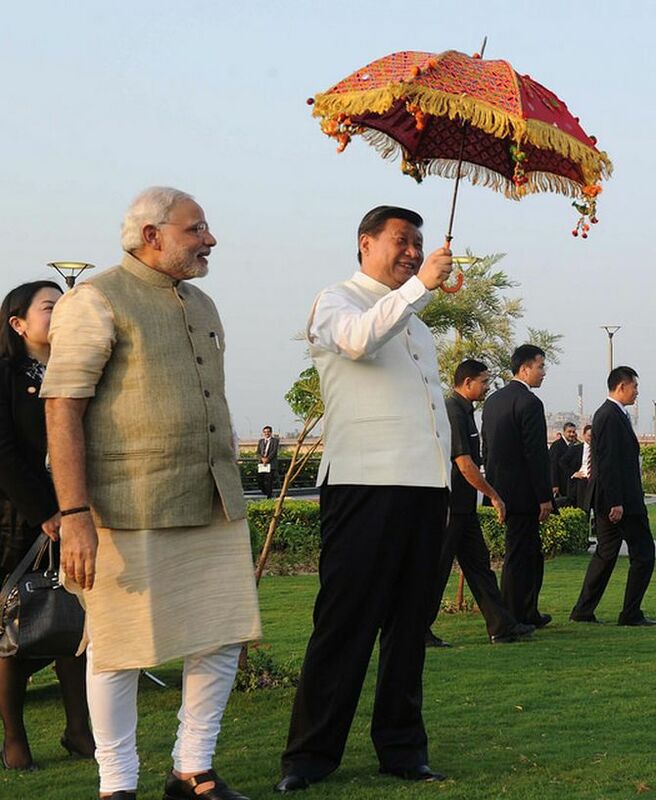 IMAGE: Prime Minister Narendra Modi with Chinese President Xi Jinping in Ahmedabad, September 2014. It has all the makings of a pantomime story or even a Bollywood potboiler: The hero reaches out a hand in friendship, the villain slaps it away. Instead of learning from this mistake, the hero, once again, reaches out and tries to make peace, but no, the villain doesn't want it. Then, finally, after all other options are exhausted, the hero is forced to take a stand and fight for his rights. That's roughly how things are between India and China. Time after time, India attempts to make friends with China, but each time there is bitter disappointment. But yet, the next time, not having learned from every previous experience, India tries again. Didn't we learn anything from Tibet, 1959, the India-China War, 1962, the screwdriver-job Pakistani nuclear bomb, 1989, the interminable and infructuous border talks, 1962 till today, and now, NSG, 2016? Or even from the experience of the Pandavas in the Mahabharata, thwarted at every turn by Kaurava hostility and recalcitrance? I couldn't believe it when the foreign ministry spokesman tweeted on July 2 how India would not retaliate against China by blackballing it in MTCR (the Missile Technology Control Regime) just like China, alone, just thwarted India's entry into the NSG (Nuclear Suppliers Group). IS: Enemy at the Gates? 14 Jul 2016, France yet again suffered the dastardly terrorist attack carried out by a lone wolf in the truest sense. The French were enjoying the Firework celebrations at Nice commemorating the storming of the Bastille, in Jul 1789. In the following August feudalism was abolished, with the “Declaration of the Rights of Man and of the Citizen”. Ironically the same citizen two centuries later look more vulnerable than ever before. In fact humanity today stands at the cusp of a violent organized disorder. A plotting of terror activities around the globe in the last two months give a decisive geographical orientation and leaves one wondering if India is in the sniffing distance of mindless pogrom based on misplaced sense of ideology no religion preaches. As the hapless world watches the carnage perpetuated by restless, misdirected, self styled saviors of Islam, India needs to stand up and take note, lest it becomes a case of too little too late. From Medina to Spain, Turkey ,Iraq, Afghanistan and right at the backyard in Bangladesh, the world is caught in the cauldron of sinister terrorist quagmire, many of these activities attributed to the IS and few though handiwork of locals, IS is quick to take credit. The IS, scrounging for real estate have set their eyes on Afghanistan and Pakistan and are resorting to the outsourcing of local talent in expanding their area of influence. Many experts have reiterated that Indian Muslims, given the fabric of our society are unlikely to join the rag tag band wagon. The data of numbers in terms of IS Recruits from the foreign countries is a testimony to this fact. Ashley Kirk in his report published in the Telegraph in March this year put the number of foreign fighters anything between 27000 to 31000 with 20 to 30 per cent having gone back home as IS cedes ground to the Syrian Forces, Kurds, Russians, Belgium and volunteers from around the world. 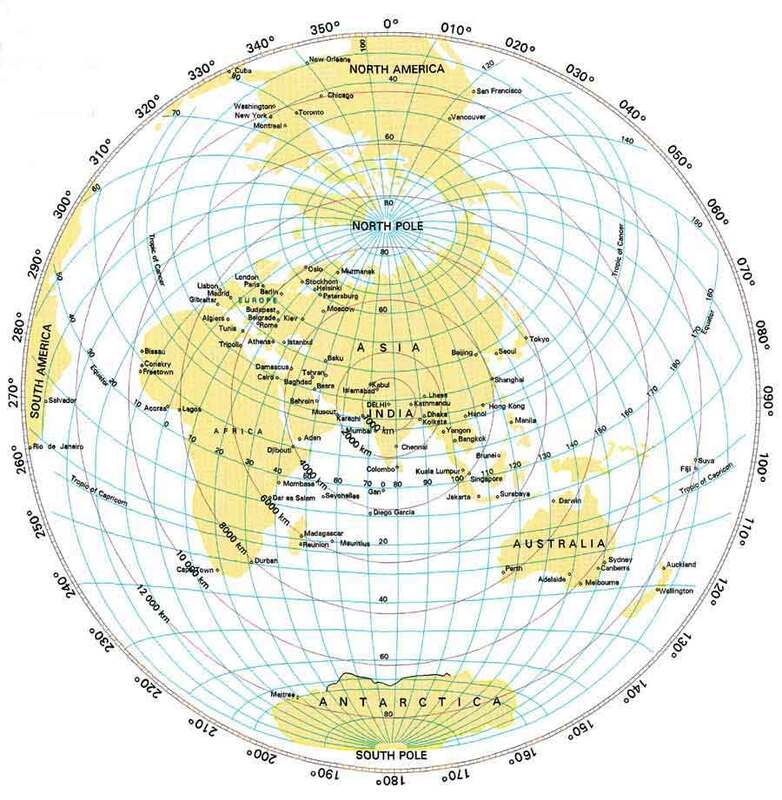 The main contributors are Tunisia (over 6000), Saudi Arabia (approx 2500), Russia, Jordan, Turkey, France, Morocco Lebanon, Egypt, Germany (sub 1000). Mass murder has again been visited upon France and shaken the world. Again ISIS has claimed credit, though this time the link to the group seems confusingly ambiguous, feeding new fears in the West about random violence by alienated or radicalized Muslims anywhere. It raises the urgent questions: What does the attack tell us about the changing face of jihadist violence today? And how might our own response, in turn, be contributing to it? 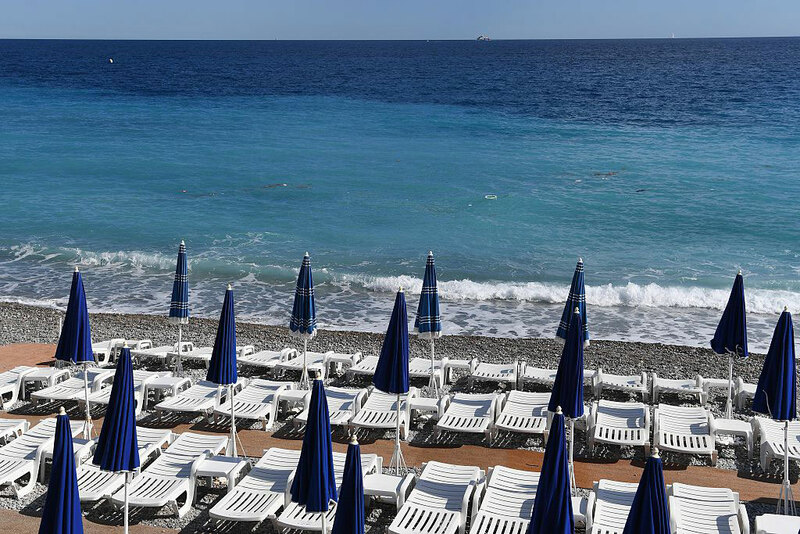 The local driver of the truck that mowed down at least eighty-four people, including ten children, and wounded more than two hundred, on the Nice waterfront Thursday was a Tunisian citizen residing in France. He had a police record for road rage and wife beating, but was not on a terrorism watch list and had no known jihadi affiliations. Yet supporters of the Islamic State immediately celebrated his actions on social media, and French President François Hollande directly linked the attack to France’s war against ISIS in Syria and Iraq. And on Saturday, the ISIS media outlet Amaq formally claimed the Nice truck driver as “one of its soldiers” who answered the call to kill anyone from a country in the coalition against it. Such formal claims have, until now, never been merely opportunistic but refer to those who have either sworn allegiance to ISIS (like the Orlando shooter) or have actually been involved in an ISIS plot (like the Paris and Brussels attackers). Op-Ed The Saudis can't rein in Islamic State. They lost control of global Salafism long ago. [I]n reading the history of nations, we find that, like individuals, they have their whims and their peculiarities; their seasons of excitement and recklessness, when they care not what they do. We find that whole communities suddenly fix their minds upon one object, and go mad in its pursuit; that millions of people become simultaneously impressed with one delusion, and run after it, till their attention is caught by some new folly more captivating than the first. We might update Mackay’s memoir by noting that at a later age in the annals of Europe, its population lost their wits, fiscal credibility, and economic sense over the delusion of an ever-closer European Union. The regulatory behemoth of the European Union (EU), with its five presidents, high representatives, 28 commissioners, serried ranks of bureaucrats and courts of counselors, legal representatives and other functionaries has inhibited growth and, consigned a generation of youth in Southern Europe to unemployment (56 percent in Spain, 62.5 percent in Greece). It has committed poorer member states to debt, austerity, and destitution in its futile pursuit of a currency union leading to a federated European imperium. By most accounts, America’s efforts to covertly train and supply moderate rebels in Syria aren’t going so well. Apart from the obvious (Assad is still firmly entrenched in power and continuing to receive ever-growing external support),The New York Times recently reported that some arms provided by the Central Intelligence Agency (CIA) and Saudi Arabia haven’t quite reached their intended targets. According to the report, some individuals in Jordan’s intelligence bureau — ostensibly partnering to funnel weapons to Assad’s opponents — stole weapons destined for U.S.-backed rebels and instead sold them on the black market. What, then, is the rationale for U.S. policy in Syria? Why has the White House continued to draw on the tool of covert military aid despite its shoddy track record? Rather than praise or condemn the Obama administration’s approach, our goal is to shed light on some of the considerations that have driven what’s going on and why by drawing on ourown research on past covert aid programs. Our findings suggest that escalation dynamics and unique reputational concerns help to explain why the Obama White House finds itself stuck with a covert military aid program of questionable efficacy and impact. Which Countries Contribute The Most To The United Nations? This chart shows the top ten countries supplying the UN system in 2015. U.S. Syria policy is in disarray. As the Obama administration enters its final months, strains over what to do about Syria’s civil war have reached a breaking point. In June, 51 diplomats signed a dissent channel memo challenging Obama’s handling of Syria and calling for deeper U.S. engagement to protect civilians, reduce violence, and improve prospects for a negotiated end to more than five years of devastating conflict. In mid-July, as Secretary of State John Kerry negotiated closer military cooperation with Russia against the Nusra Front and ISIS, Pentagon resistance has spilled into the media. Rifts over Syria within the State Department have deepened. The U.S.-backed Geneva process to negotiate a political transition in Syria, due to resume this month, is stalled and close to collapse. There is no diplomatic “plan B” in sight. Amid turmoil in Washington, conditions on the ground in Syria are eroding the administration’s efforts to hand over a more tractable conflict to its successor. Despite a new U.S. commitment of $439 million for Syria relief, aid is not reaching hundreds of thousands of civilians besieged by the Assad regime—including in Daraya, where dozens of residents have starved to death. The partial ceasefire negotiated in February has broken down, only the latest in a string of Russian failures to ensure Assad’s compliance with internationally-brokered agreements. Instead, Russian air support has enabled regime forces to encircle Aleppo, trapping 300,000 civilians. If Syrian refugees are no longer streaming into Europe, it is because they are now stranded along the Turkish and Jordanian borders, refused entry into countries that were once safe havens for Syrians fleeing violence at home. Today, more than 150,000 Syrians are struggling to survive in harsh conditions, including exposure to attacks from Russian aircraft. America’s urban police departments are in an information war, and they are losing. Anti-police groups have seized the narrative that cops are on a genocidal mission to kill young black men. The fact that black young men are killing each other by a multiple factor far exceeding police shootings has largely been ignored by the media in the current police related crisis era. The police need to learn how to fight an information war against non-state actors such as Black Lives Matter. Body cameras could help, but many cops see them as a problem rather than as the opportunity that they represent. Police do thousands of good deeds every day ranging from saving kids from locked cars to defusing spousal abuse incidents (which most cops believe are the most dangerous calls they respond to). Body cameras could capture these day-to-day heroics and share them with the public as a way of showing the reality of what the police accomplish for their communities, but many cops see them as an intrusive device to gather evidence on them in criminal and lawsuits; this needs to change. We no longer live in a 24- hour news cycle. Today, the cycle is hourly and everyone with a Smartphone is a potential reporter via Twitter, Facebook, YouTube, and other social media outlets. Most police departments remain trapped in the 24-hour news cycle by their 20th century public relations approach. Body cameras offer them the ability to respond to the 21st century information cycle, but it will take a revolution in the way police operate and train to exploit the opportunity that social media offers. Body cams can show the lead-up to a shooting incident, but they can also record when incidents are peacefully defused as well as the myriad of community services performed by police throughout the nation that go unnoticed every day. Most cop reality shows are filmed months in advance and highlight only dramatic incidents of people acting badly and police intervening in dangerous incidents. That is not the day-to-day reality of policing. Computer viruses may come and go irrespective of time, but they always exist. Some of them don’t get much attention, but the other ones do terrible damages to the computers and get famous among all computer users. Everyone is familiar with a computer virus nowadays, but it is hard to be completely protected by them, because in a single month thousands of new viruses are being created and over one million viruses are being circulated all over the world. No doubt you could trace and delete almost most of the computer viruses by updating your antivirus software periodically, but in some cases you will even not be able to know that your computer is actually infected with a virus and that’s why we recommend you to keep updating your knowledge about the latest programs created in order to harm your computer data or even your existence by doing Identity theft. In our past article we have already covered a lot about Top dangerous Viruses from all over the internet, till 2006. 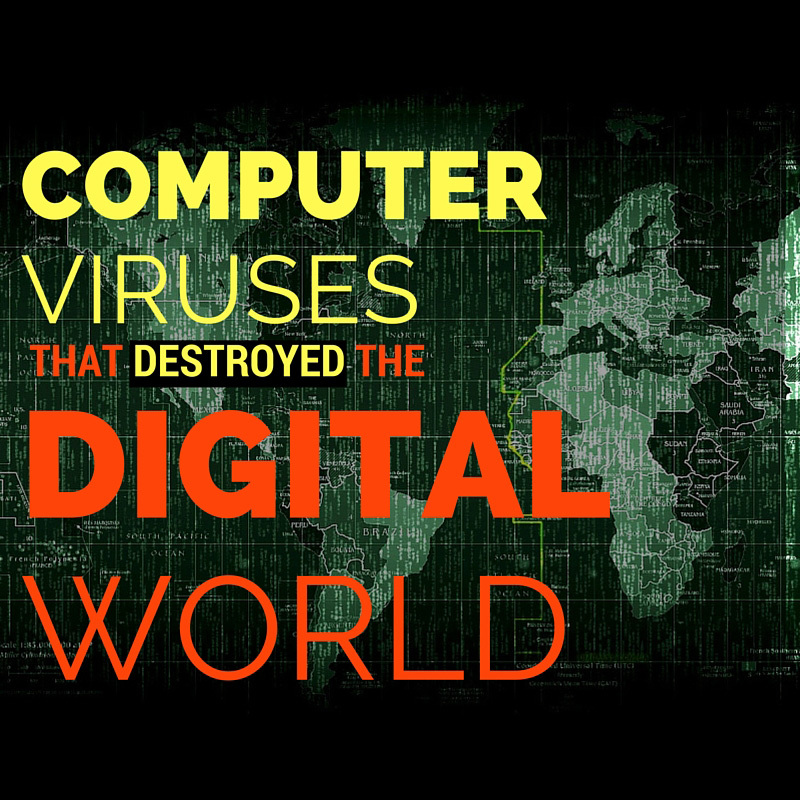 Here is another brand new list of dangerous viruses from the entire digital world so that you could understand that actually what is happening with your machine and how you could solve those issues the right way.